New to Animeworks is our Rewards Program, we appreciate loyalty so we wanted to give something back. We have introduced a Rewards Program that earns you points each time you make a purchase. You can then use those points to redeem as cash when making future purchases. Its very simple, there is no expiry, no cap, just spend and earn. 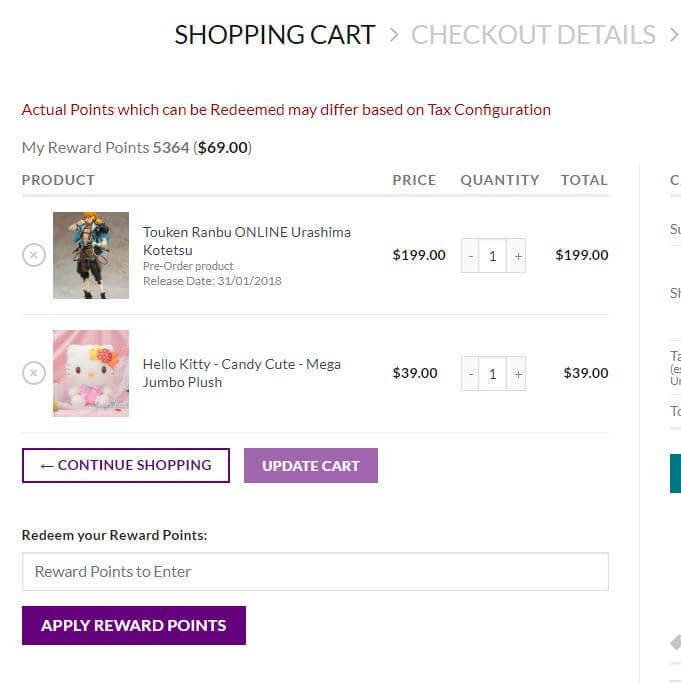 Very easy, on the Shopping Cart Page you will see the balance of your points on top along with its equivalent dollar value. Beneath the cart you can enter how many points you would like to redeem and it will automatically discount the order for you.